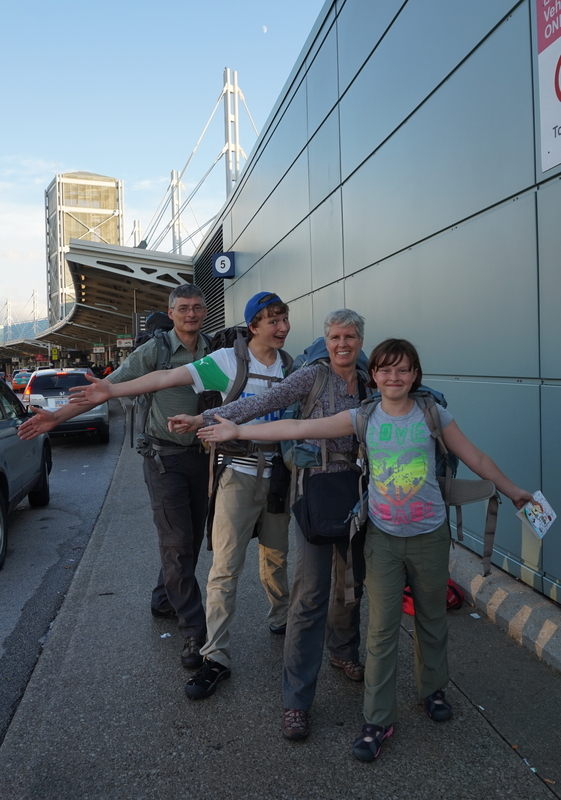 We Land… and Take Off! | Hello Cool World! 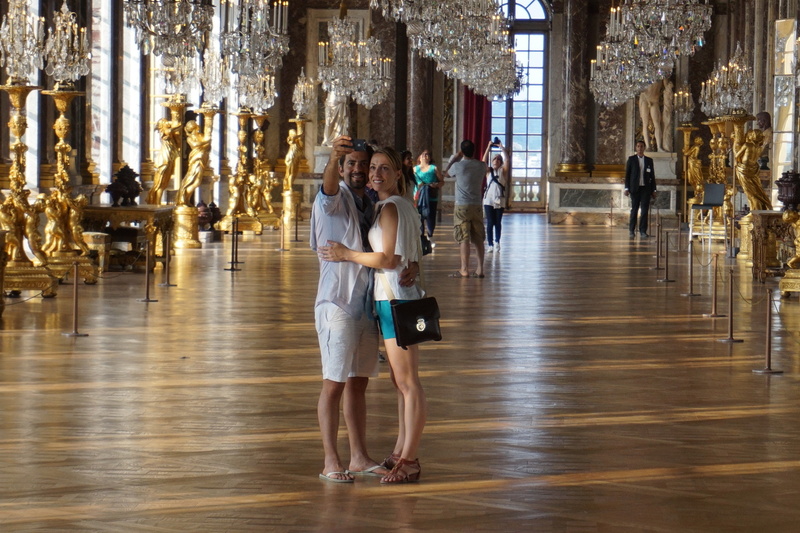 Our week in Paris was pure tourism – walking, museums galore, the Eiffel Tower, and culinary delights. 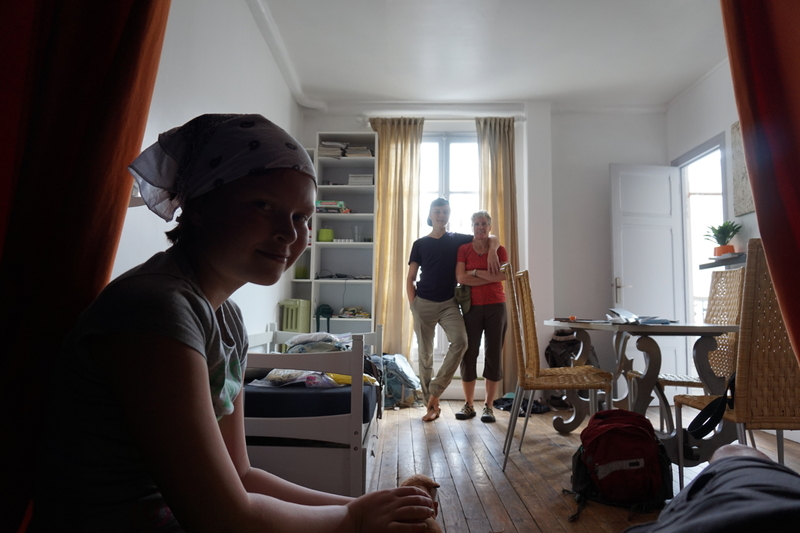 We landed on Wednesday, September 3rd and checked into our tiny Air BnB apartment on Rue du Temple, 4th arrondissement – one room with a tiny kitchen and bathroom and an on-demand water heater that you could count on to cut out mid-shower. 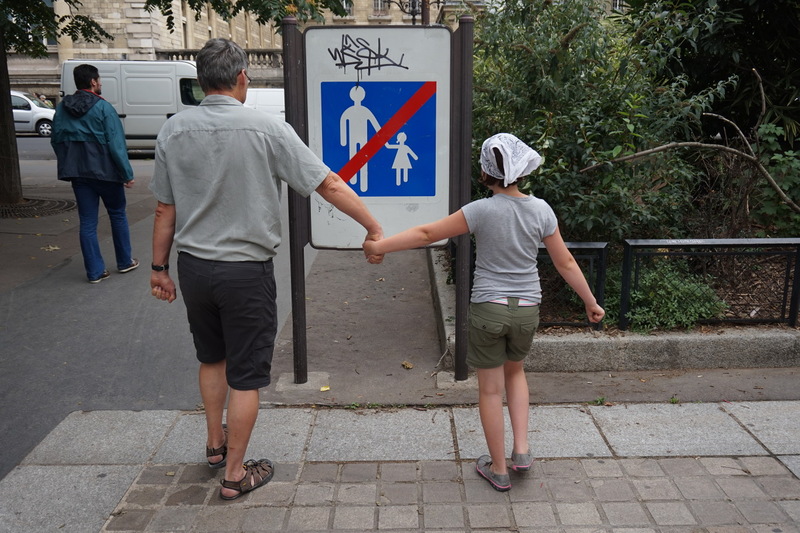 That afternoon we walked to Notre Dame cathedral, and of course to Berthillon ice cream on Ile St Louis (see Eva’s first entry on ice creams of the world). To quote Eloise, “When in Paris, you simply must have the four day museum pass.” We went up the Towers of Notre Dame and down the crypts out front of it, and walked all around Sainte Chapelle (my favourite jewellery box), Cluny, Musee d’Orsay, the museum of Jewish art and history, Versailles, and the Louvre. Special thanks to ‘cousin Malory’ for the tip on Rick Steves – his guides gave us the perfect highlights and context to each location, as well as valuable tips on how to walk like a Parisian and to say “pffft” every time someone was in our way (but of course, I already knew all of this from my time living there oh so long ago!). Chris and Eva break the law. 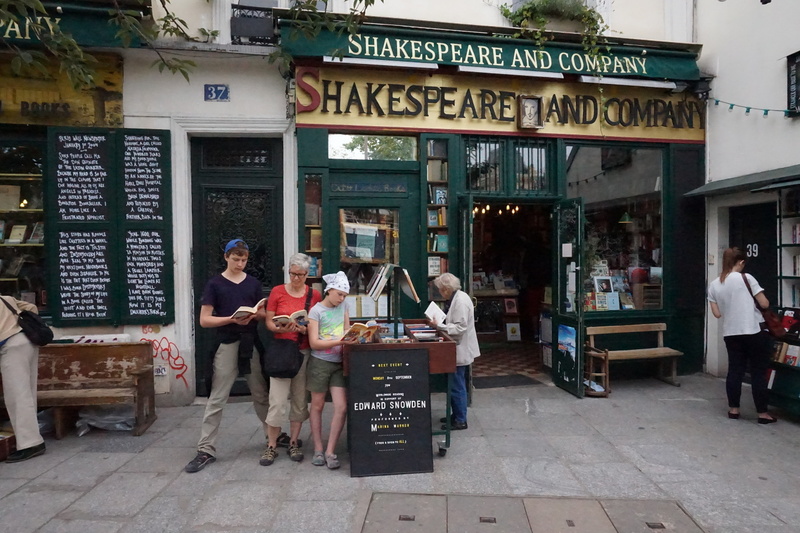 Dear Eric: we too have read at Shakespeare and Co. Taking in the fountains at Versailles. 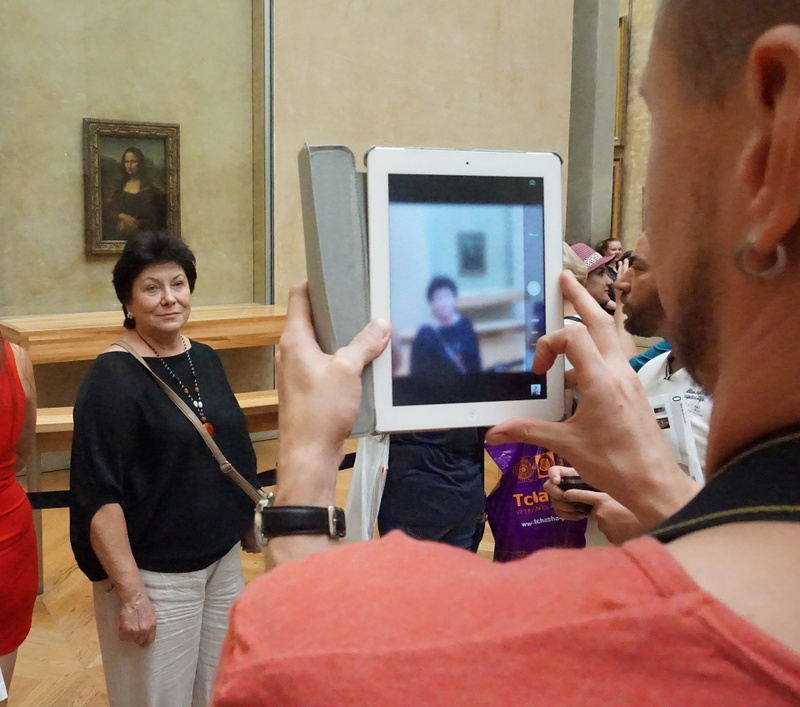 … and you all look mahvelous. 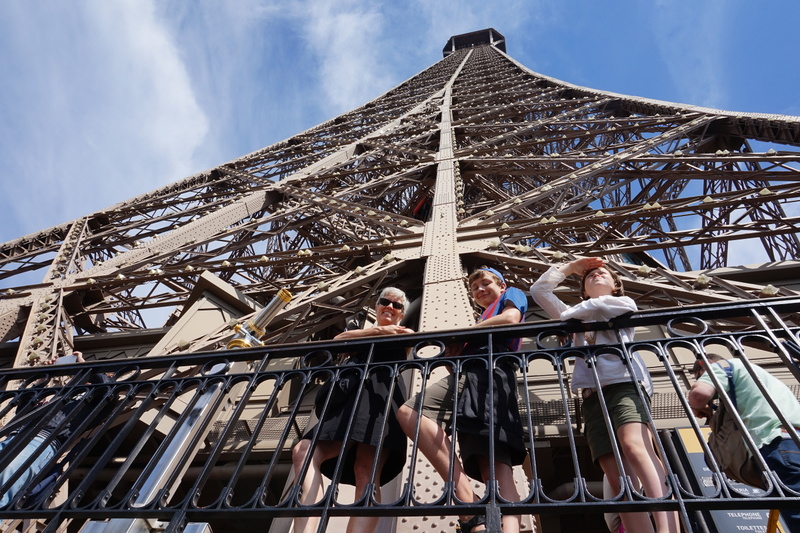 On the final full day in Paris, we braved the pickpockets and ran the gauntlet of souvenir sellers and climbed up the Eiffel Tower. What a spectacular view, and now we fully understand why tourists in Toronto think that there might be a beautiful view from on top of the CN tower. 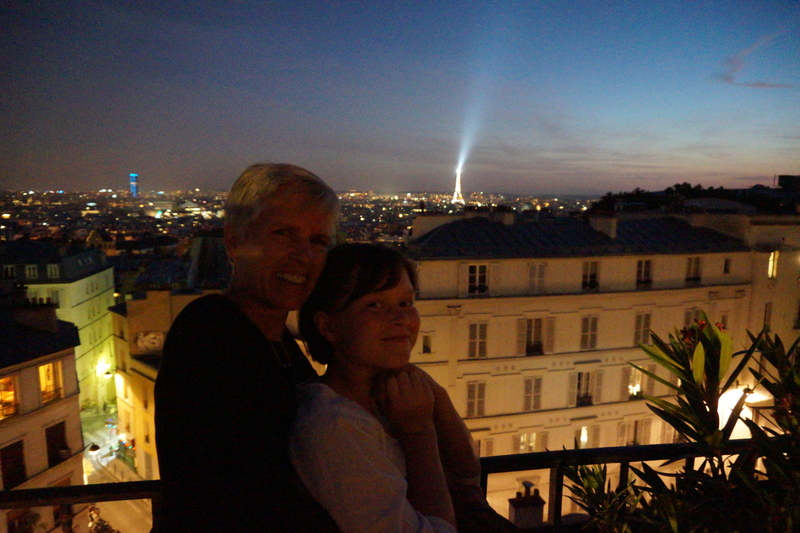 That evening, we were in Montmartre for dinner with our first Servas hosts, Alessandro and Rebecca Cremonini, and a spectacular view of the lights of Paris. 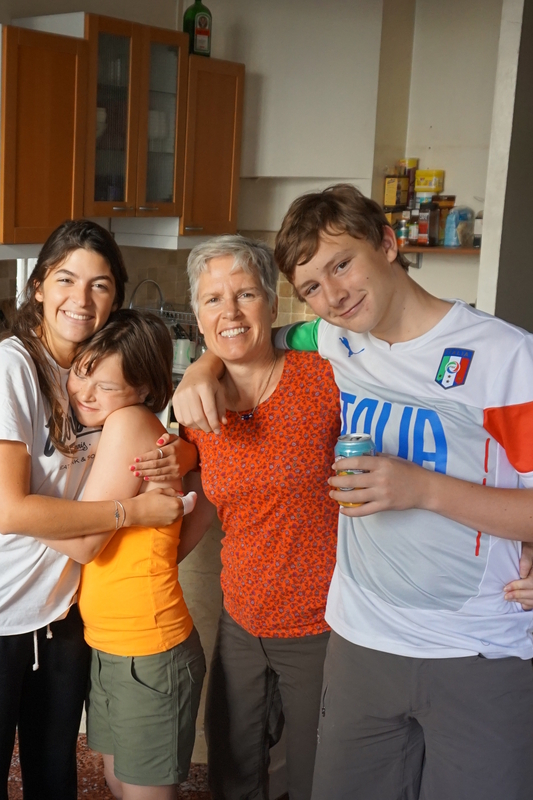 On our last morning we met up with Camila. Seven years ago she lived with us as an English language student. Now, she’s living in Paris designing handbags. After a lovely visit, we went off to find our car. Following a quick, but hair raising introduction to our GPS system (which kept telling us to turn around back towards a road that was blocked off) we made our way out of the city of lights and headed north to discover some WWI history. Great to hear about your time has been in Paris!!! You have to go back! Pere Lachaise cemetary – and Jim Morrison’s grave – best thing in Paris! I love this blog. I love travelling with you all vicariously. I can feel the chewy baguette and duck pate now. Thinking of you all. Sounds all so wonderful and takes me back to “88 when I was there! !